People considering buying a car for business use may want to pay a visit to their local Volkswagen dealership. The manufacturer has suggested announced the latest addition to its line up could help fleet drivers cut costs. 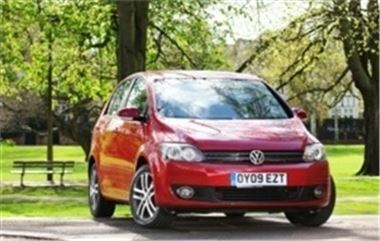 It explained the Golf Plus BlueMotion boasts CO2 emissions of 114 g/km, which means - over the course of three years - a motorist could save up to £1,000 in Benefit in Kind tax charges. In addition to this, the car's fuel efficiency has been boosted by 11 per cent compared with its predecessor. Owners can expect to get 65.7 mpg on the combined cycle and, as a result, may save money at the pump. According to Volkswagen, the average driver will be able to go for five weeks in between trips to the garage. In other motoring news from the manufacturer, the latest edition of the Polo is due to arrive in showrooms up and down the UK on October 16th.